Watercress is a green you can’t eat too much of. It’s packed with highly effective phytonutrients for cancer prevention and general health. It’s high in vitamin C, vitamin A and B vitamins, calcium, iron, magnesium and many other minerals. This recipe is a simple and delicious way to enjoy watercress’s countless health benefits. 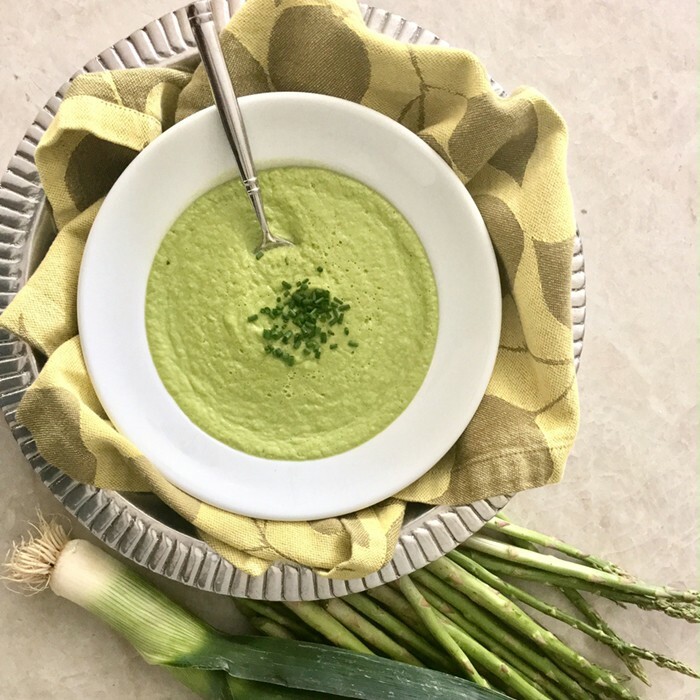 Coarsely chop leek (including the green), add 2 cloves of garlic and sauté with 1 tablespoon plus (if needed) olive oil. Once the leek and garlic begin to glisten (after around 3 minutes), transfer to blender. Add watercress to blender along with the leek and garlic, begin to blend, and add in vegetable broth. Once the mixture is blended, add avocado, and continue to blend to the consistency of your liking. Add more broth if needed. Though it's packed with health benefits, watercress tends to be overlooked as a powerful "superfood." Watercress is a highly versatile green you can use not only in soup recipes, but also in salads, as a garnish, and in smoothies and juices. This soup can be "diced and spiced up" any way you like: add the spice of your choice, top it with crushed pumpkin seeds or nuts...the possibilities are endless.